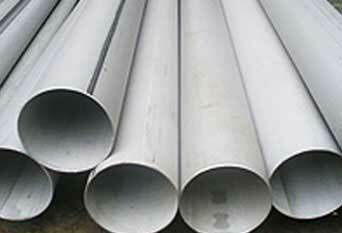 ASTM A312 Stainless Steel TP310 Welded Pipe, ASTM A312 TP 316 Welded Pipes, ASTM A312 SS TP 304L Pipes, TP310 Stainless Steel Welded Pipe Dealer, ASME SA312 SS UNS S31254 Pipes, A312 TP 316L Pipes, SS ASTM A312 TP 317 Pipes Manufacturer in India. 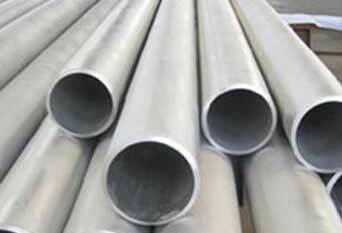 ASTM A312 is a standard specification for austenitic Stainless Steel Welded Pipe. These are high performance austentic stainless steels which have good weldability and excellent formability. Piyush Steel is a recognized distributor and manufacturer of Austenitic Stainless Steel Welded Pipes, which has some excellent features to offer such as Uniform thickness, Longer service life, Corrosion, chemical and temperature resistance, etc. 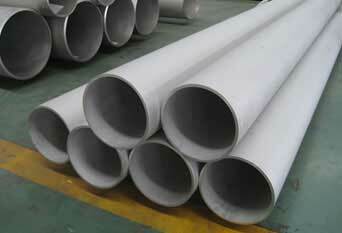 It is Titanium stabilized austenitic chromium-nickel stainless steel containing molybdenum. 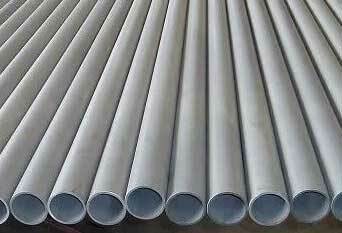 ASTM A312 Stainless Steel Welded Pipes is usually made from a solid round metal billet which is heated and pushed or pulled over a form until the material is shaped into a hollow tube. Additionally, our capability to tackle with their sole and huge orders has provided us a distinguished standing in this market sector. Meanwhile, we offer these ASME SA312 Welded Pipes in different sizes, grades and thickness as per custom-made demands provided by our customers at a very reasonable price. Welded Austenitic Stainless Steel ASTM A312 Pipes, ASTM A312 TP304 Welded Pipes, A312 UNS S30400 Pipes, ASTM A312 Pipe, ASTM A312 Stainless Steel Pipe, Stainless Steel ASTM A312 Welded Pipes, ASTM A312 SS Welded Pipe, ASTM A312 Stainless Steel Pipes Supplier in Mumbai, India. ASTM A312 Welded Austenitic Stainless Steel 904L Pipes, High Quality Stainless Steel ASTM A312 Welded Pipes, Stainless Steel ASME SA312 TP 317L Pipes Dealer, TP 321 SS Welded Pipes, 347 Stainless Steel Welded Pipes Stock Holder, SMO 254 Stainless Steel Welded Pipes. ASME SA 312 Stainless Steel Welded Pipes is a martensitic flat rolled stainless steel that can achieve a variety of properties through heat treatment. It is used for its corrosion-resistant properties. It is also used for high-temperature applications up to 1650 Degree F. ASME SA 312 SS 316 Welded Pipes is an austenitic flat rolled stainless steel that has five times more titanium than carbon in its content. It is non-magnetic in the annealed condition but may become slightly magnetic after welding. These ASTM A312 SS 316L Welded Pipes find their relevance in engineering industries and other associated industries across the globe. These can also be used in the following products: X-ray tube bases, Boiler baffles, Oil burner components, Annealing boxes, Industrial mufflers, Kiln linings, Glass molds, Furnace parts, and more. It is generally used in applications that require sustainability to high intermittent temperatures. These are as well used for several other applications such as in Aerospace for Aircraft exhaust manifolds and flanges, Jet engine parts, etc. We Supply ASTM A312 / ASME SA 312 Welded Pipes of various origin’s and companies like Nippon Steel & Sumitomo Metal, Sandvik, Sanyo Special Steel, Kobe Steel, Schoeller Bleckmann, Salzgitter Mannesmann Stainless Tubes, Tubacex etc. Other Names : ASTM A312 TP304, ASTM A312 TP304h, ASTM A312 TP309, ASTM A312 TP310s, ASTM A312 TP316l, ASTM A312 TP316h, ASTM A312 TP316ti, ASTM A312 TP317l, ASTM A312 TP330, ASTM A312 TP321, ASTM A312 TP321h, ASTM A312 TP347, ASTM A312 TP347h, ASTM A312 TP904l, ASTM A312 UNS S31254, ASTM A312 UNS S30400, ASTM A312 UNS S30403, ASTM A312 UNS S30409, ASTM A312 UNS S30900, ASTM A312 UNS S31000, ASTM A312 UNS S31008, ASTM A312 UNS S31603, ASTM A312 UNS S31609, ASTM A312 UNS S31635, ASTM A312 UNS S31703, ASTM A312 UNS N08330, ASTM A312 UNS S32100, ASTM A312 UNS S32109, ASTM A312 UNS S34700, ASTM A312 UNS S34709, ASTM A312 UNS N08904.